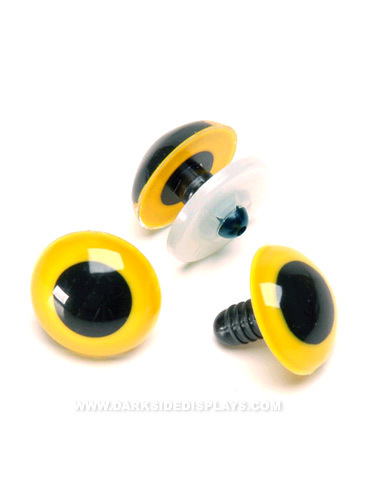 Give your Halloween props the effect of glowing eyes without LED's and batteries. Light reflective plastic animal eyes work great in styrofoam heads. Cover with a ghoulish mask and see how real these eyes make the look. Includes 4 eyes and 4 plastic washers. Yellow Animal Eyes measure 20mm. 4 pc.